MILLSTADT, IL – Teammates Christopher Bell and Tanner Thorson are parked first and second in the POWRi Lucas Oil National Midget point standings four races into the 2014 season. With 760 points, Bell has a comfortable 160-point lead over Thorson going into the events scheduled at Jacksonville Speedway and Macon Speedway this weekend. The gap between second and third, however, is much smaller. Thorson has only a 10-point lead over 2013 POWRi midget champion Zach Daum. Bell and Thorson’s third teammate, Rico Abreu, is currently fourth in the midget point standings and trails only 40 points behind Daum. After two events, there is a tie for first in the POWRi Speedway Motors 600cc Micro point standings. Jeremy Camp and 2013 POWRi micro champion Nathan Benson have both acquired 380 points after the micro series’ first two races of the 2014 season at Kokomo Speedway in Kokomo, IN. Camp and Benson will have to hold off Aaron Andruskevitch at both Jacksonville and Macon this weekend if they want to stay at the top of the micro point standings. Andruskevitch is currently third in the micro point standings and trails Camp and Benson by a mere 30 points. 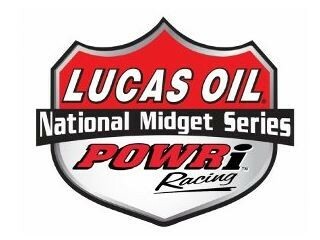 Both the POWRi Lucas Oil National Midgets and the POWRi Speedway Motors 600cc Outlaw Micros are scheduled to run at Jacksonville Speedway in Jacksonville, IL on Friday, April 25th. The ¼ mile high-banked oval hosted three POWRi events in 2013. Shane Cockrum, Kyle Larson, and Rico Abreu took midget feature wins while Dereck King, Mike Dicely, and Cale Thomas came out on top in the micros at Jacksonville Speedway last year. The April 25th event will be the first of four times that POWRi will visit the Jacksonville, IL track during the 2014 season. Jacksonville Speedway will host the opening night of the POWRi Illinois SPEED Week as well as the 2014 midget season finale. Following Friday night at Jacksonville Speedway, both the midgets and micros will visit Macon Speedway in Macon, IL on Saturday, April 26th. After getting rained out on April 5th, the April 26th race will mark the first of five times that both the POWRi midgets and micros will visit the 1/5 mile high-banked oval during 2014. Macon Speedway will host the prestigious Dana Godfrey Memorial as well as the third night of the POWRi Illinois SPEED Week. A POWRi event at Macon Speedway traditionally attracts a field of midgets that puts on an exciting show. Fans saw Danny Stratton, Christopher Bell, Andrew Felker, and Brady Bacon win hard-fought midget feature events during the 2013 season. In the micros, Nathan Benson and Dereck King both nabbed one while Cale Thomas claimed two feature wins at the track in 2013.